In most cases, every sale is recorded into BMO Online Inventory System Malaysia and that record will go into the sales report. With those sales reports, your company will be able to analyse its performance. BMO Online Inventory System Malaysia went a step further by providing an additional function where you can view your Sales Reports by Sales Person. This means you can also evaluate your sales team’s performance individually and assist them in achieving better sales goal. 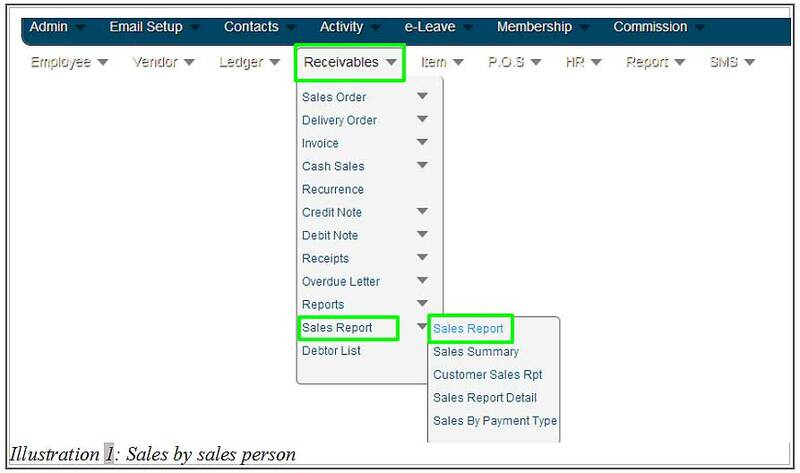 Below is a simple guide on how to view a sales report based on sales by sales person in BMO Online Inventory System Malaysia. 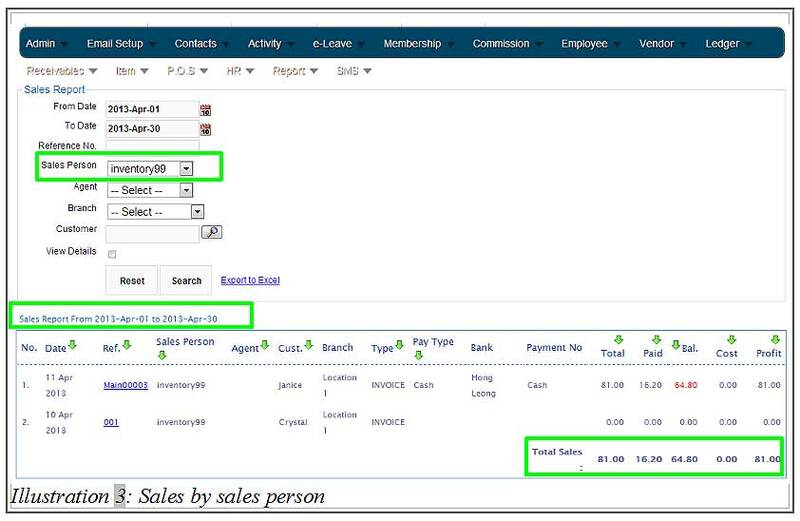 For example, to view sales report based on sales by sales person, select a sales person from your employee list. Click on Search to search for the report handled by that sales person. 3. Now, you are able to view the sales report of your choice of sales person during a certain duration of time. Together with these sales reports, there is a cost listed in a separate column as well as the total cost of sales reports.